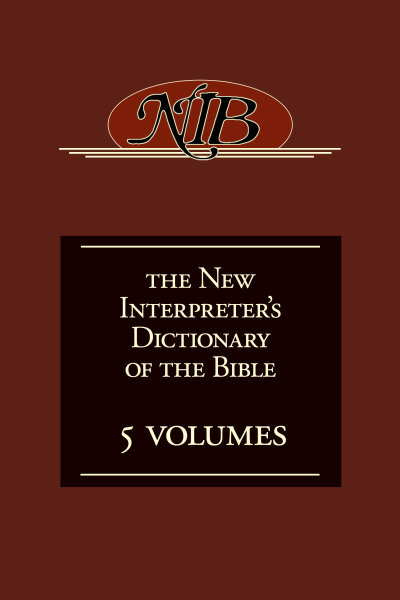 The New Interpreter's® Dictionary of the Bible (NIDB), complete 5-volume set, is the definitive starting point for research on any topic, place or person in the Bible, with emphasis on the crucial theological concepts. Based on the NRSV. Written by 900 scholars, experts in their fields, from 40 nations and a variety of perspectives and diverse theological commitments. 7100 fresh, original articles. Also contains 1300 distinct cross-reference entries. For any pastor, rabbi, preacher, teacher, or student who is preparing to serve the congregation. Theological content and thorough discussion of various interpretations is tailored for congregational use.